System reviews; technical and economic evaluations of project opportunities; C&D recycling and management; procurement evaluations and negotiations. 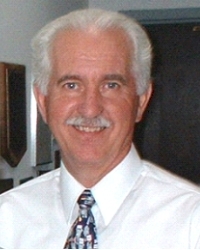 Mr. Brickner, GBB Executive Vice President, has more than 40 years of experience in the solid waste management field. He is an expert in solid waste handling systems, including collection and processing equipment, especially equipment costs and systems analysis. Mr. Brickner is well versed in cost allocation methods and economic/financial modeling, and life-cycle costing. Mr. Brickner has served as the lead evaluator for GBB on many systemwide evaluations and vendor solicitations, and as lead negotiator on numerous projects that have been financed. He has authored independent reports for bond sales and has made supportive presentations to rating agencies on Wall Street. Mr. Brickner has presented expert witness testimony at arbitration proceedings and permit hearings on waste-related programs. During the last thirty years, Mr. Brickner has conducted hundreds of field visits to review local collection programs (for trash, recyclables and brush) and solid waste management programs (including materials recovery facilities (MRFs), waste-to-energy facilities, C&D recycling systems, transfer stations, and landfill facilities) in the United States, and abroad. He has written numerous articles, lectured at many national solid waste conferences (e.g., WasteExpo, WASTECON, NRC and EPA conferences), and served for four years as a contributing editor to an industry magazine. Over the years, with his extensive solid waste management industry expertise, Mr. Brickner has assisted law firms with expert testimony and litigation support services. Prior to helping form GBB in 1980, Mr. Brickner was a solid waste applications engineer for Combustion Engineering, Inc. (1972-1975), National Sales Manager for the Solid Waste Division of Allis Chalmers (1975-1979), and a Managing Director of Gordian Associates, Inc. in Washington, D.C. (1979-1980). U.S. Green Building Council’s LEED Requirements for C&D Waste as it Pertains to Sustainable Building Certification, presented to the Tidewater Chapter of the Construction Specifications Institute in Norfolk, Virginia. Recycling of Construction and Demolition Waste, Status and Issues in the USA. Waste Management World. “Construction & Demolition Management … Alternative C&D Recycling Technologies,” presented at the Federation of New York Solid Waste Associations’ Solid Waste/Recycling Conference & Trade Show at The Sagamore on Lake George, New York. “Current Practices and Needs of the C&D Industry,” presented at National Recycling Coalition in Charlotte, NC. We do appreciate everything that GBB did for us during the Initiative. We're grateful for your perseverance, expertise, and patience during the project's tenure. It was invaluable. Thanks again for everything.